Hewlett Packard Enterprise (HPE) today announced that the Ecole Polytechnique Fédérale de Lausanne’s (EPFL) Blue Brain Project, a Swiss brain research initiative, selected HPE to build a next-generation supercomputer for modeling and simulation of the mammalian brain. The new supercomputer, called ‘Blue Brain 5’, will be dedicated to simulation neuroscience, in particular simulation-based research, analysis and visualization, to advance the understanding of the brain. Brain disorders are complex phenomena spanning from genes to circuits to the whole brain. Establishing an integrated view of how all these levels work together and are perturbed in brain diseases is the primary challenge in understanding the brain. The Blue Brain Project is pioneering the approach of reconstructing and simulating digital models of brains to address this challenge. Blue Brain systematically releases open-access data, models and open-source tools to help the community, such as the European Human Brain Project, understand the brain at its different levels of organization. Based on the supercomputing requirements derived from the project’s scientific roadmap, the Blue Brain Project followed a rigorous procurement process and after evaluation of the bids received, according to the published criteria, HPE was awarded a first contract at the end of 2017. Including a subsequent phase, the total value to provide state-of-the-art supercomputing technology and expertise can go up to CHF 18 million. 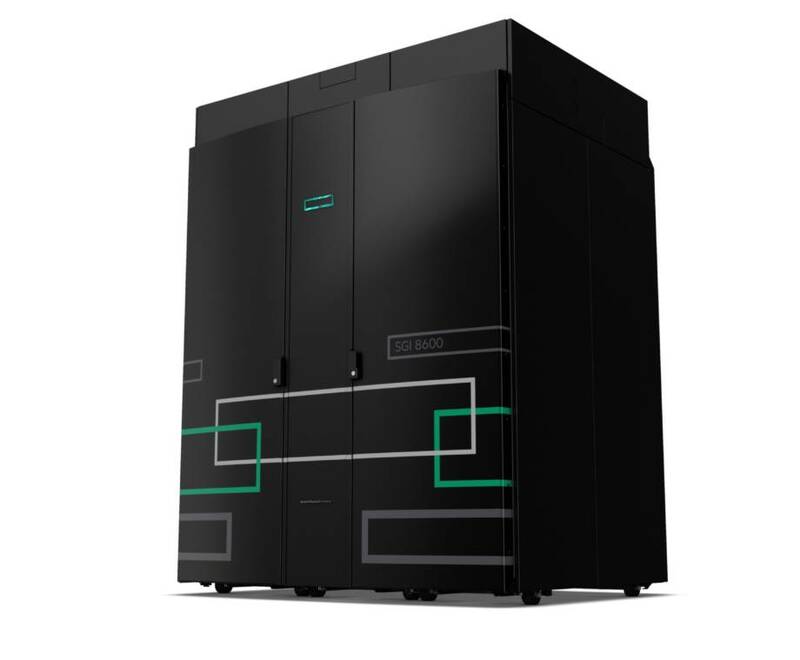 The advanced supercomputer built by HPE is based on the HPE SGI 8600 System, providing tailored and scalable compute performance to enable the Blue Brain Project to pursue its scientific roadmap goal for 2020 to model entire regions of the mouse brain, in particular the thalamus and neocortex. HPE designed Blue Brain 5 to specifically support the various compute-intensive challenges of the Blue Brain Project’s reconstruction and simulation workflows.The flexible architecture of the HPE SGI 8600 System is instrumental for the Blue Brain Project’s mission as it can host different sub systems that are specifically geared for tasks like visualization or deep learning, while being operated as one single system.Blue Brain 5 integrates four different configurations – each optimized for a different workload profile, providing specific strengths in areas like memory bandwidth, network bandwidth, processing power, graphical processing and input/output. The Blue Brain Project’s HPE SGI 8600 supercomputer is comprised of 372 compute nodes delivering 1.06 petaflops of peak performance. The system is equipped with 94 terabytes of memory – a memory equivalent of 23,000 laptops –and runs Intel®Xeon®Gold 6140 and Intel®Xeon Phi™ 7230 processors as well as NVIDIA®Tesla®V100 graphic processors. The system uses single and dual-rail Mellanox InfiniBand high-performance networks and has 4 petabytes of high-performance storage from DataDirect Networks (DDN), delivering more than 50GB/s aggregated bandwidth, associated with an innovative 80 GB/s Infinite Memory Engine (IME) flash-based burst buffer. With the HPE SGI 8600 system, designed to solve the most complex problems and powering some of the fastest supercomputers in the world, Blue Brain gains scalability to thousands of nodes in an easy-to-manage architecture. The system also features an energy efficient liquid cooling solution that does not exhaust heated air into the data center. The new system has been installed at the Swiss National Supercomputing Centre (CSCS) in Lugano, Switzerland.